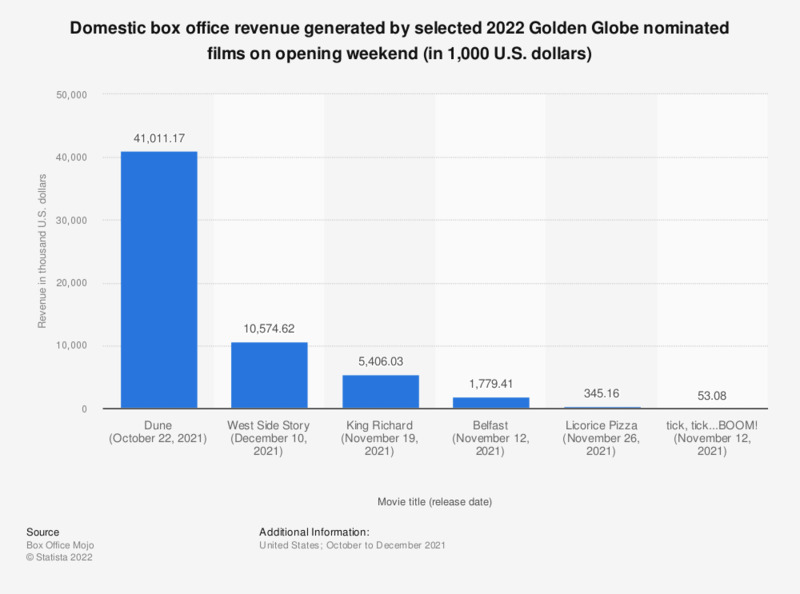 This graph shows the box-office revenue during the opening weekends of the five films nominated for the Best Drama award at the 2019 Golden Globes. The Marvel movie "Black Panther" made 202 million U.S. dollars during its opening weekend in North America. 2019 nominees and winners found at this source.